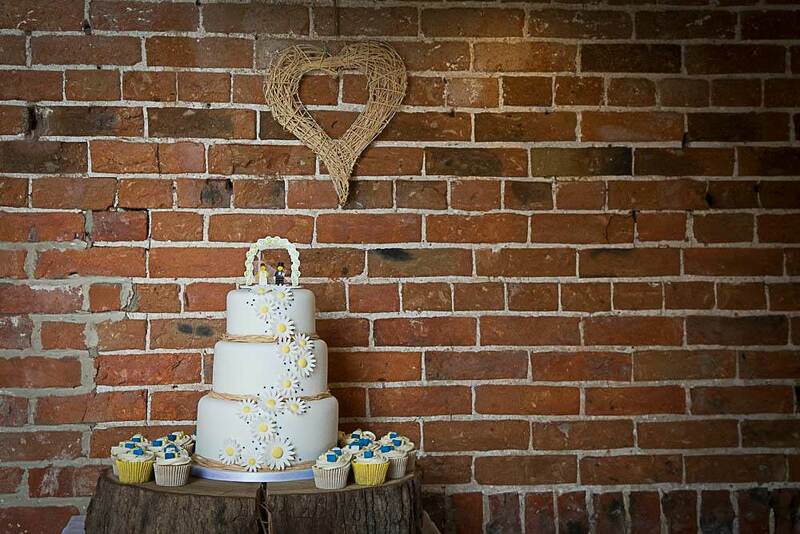 Who makes the best wedding cake in Norwich? We are getting married this June and trying to decide on the wedding cake. I don’t want anything too posh, so debating on making the cake ourselves. No sure if this is a bit too brave though. Cute little cupcakes – provides the library coffee shops with the most amazing cupcakes in the world! Heidi is a very clever lady. Mint cupcakes are my favourite. 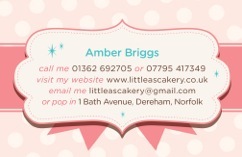 However, I am still having a browse of some local companies that provide cakes and there is a list below. They seem to start from £150 upwards. I personally know Tory from ‘and eat it’ and Nicola from ‘Vanilla Chilli’ and they’re both lovely. 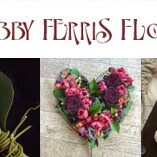 I met them both at a local Mum2mum networking group set up for self-employed Mums in the Norwich area. Tory made the cake for my little girl Jessica’s cake smash for her 2nd birthday by Jess Wilkins photography. Here are two examples of Tory’s recent cakes! ALWAYS check out their reviews on their website/ facebook and if they are on the Norwich food hygiene rating. As a self-employed tax payer it really does winds me up when so many local cake makers do work cash-in-hand and don’t follow the rules. The food hygiene is extremely important and I highly recommend you avoid anyone who can’t provide you with this information. In Norfolk (the rules vary from council to council) it is mandatory for anyone who provides food that is made or heated up to be on the food hygiene list and have a visit from the food hygiene inspector. The hygiene ratings are available on the council website above, however, it can take some time for a new business to get added, so just because they aren’t on this list, doesn’t mean they’re not following the rules. Just make sure you ask if unsure. 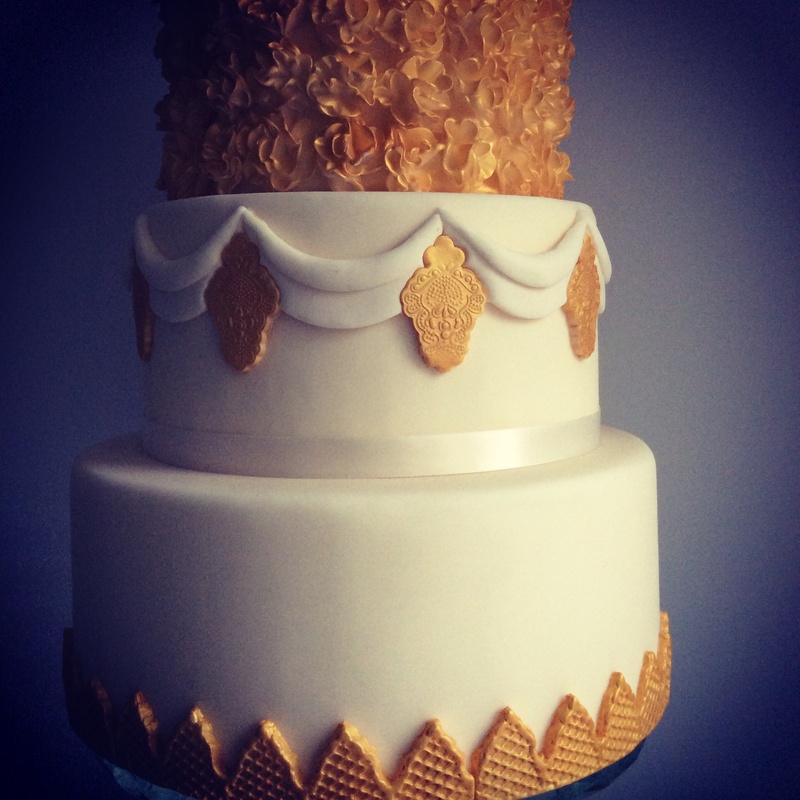 A good cake baker will always have a consultation with you before quoting a price, so be wary of people coming up with a price off the top of their head and sometimes you really do get what you pay for, cheaper isn’t always better when it comes to cakes. I was thinking about a supermarket wedding cake like Marks and Spencer, but they are around £250 for a three tier cake. I am loving pinterest for ideas on wedding cakes. I have found this cake which is done with buttercream and decorated with flowers. 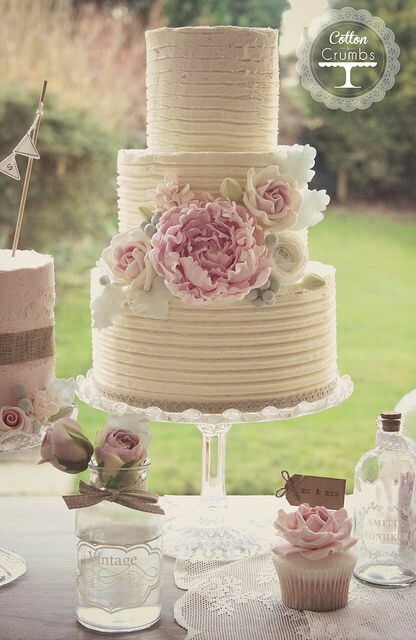 The cake was made by Cotton and crumbs in Coventry. I love this wedding cake. I think what I love most is that the buttercream icing isn’t perfect and that it has extra tall thin tiers to the cake. There is no way in a million years that I would ever be able to make the flowers on this cake out of icing, so for my wedding I am thinking of putting real flowers on there. I need to research this more! 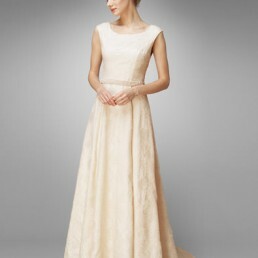 The soft pink of the flowers is perfect for the colours I am thinking for the wedding. 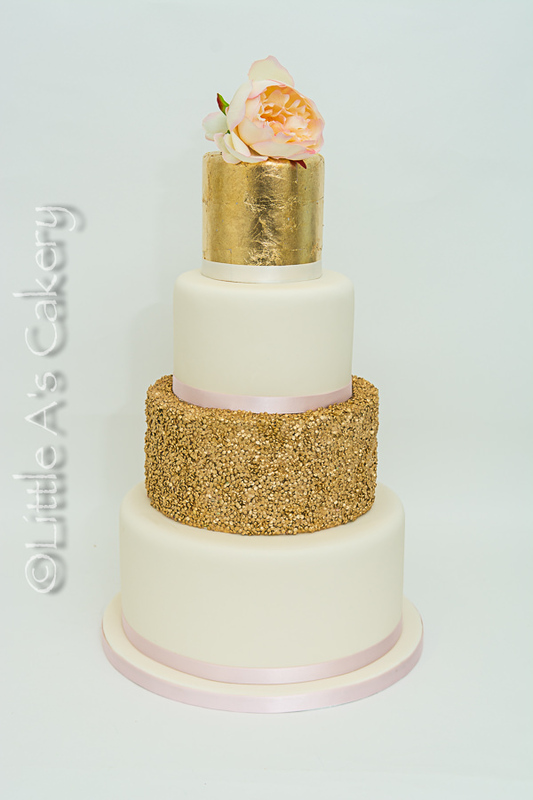 I am getting married may 2015 we have decided on three different cakes made. 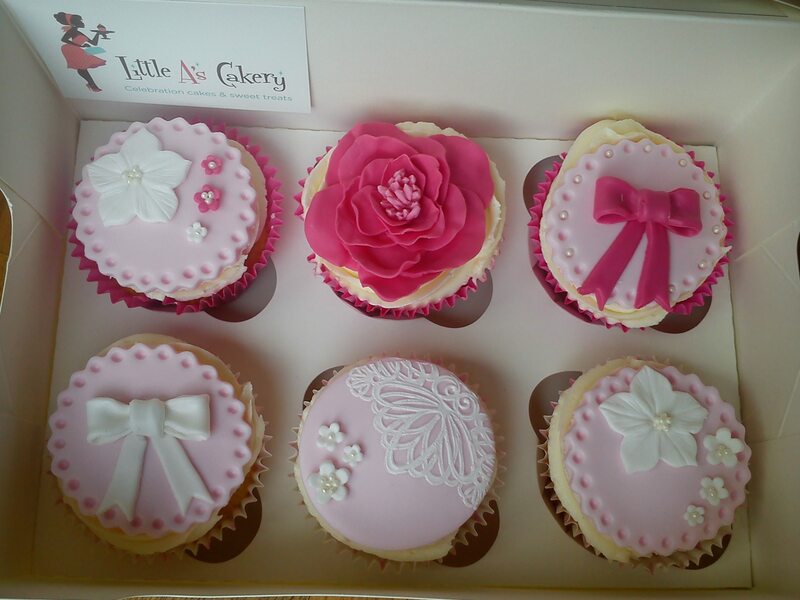 By little millies. They were brilliant responded to our emails quickly and even came to meet us at our home to get a feel of us as a couple. 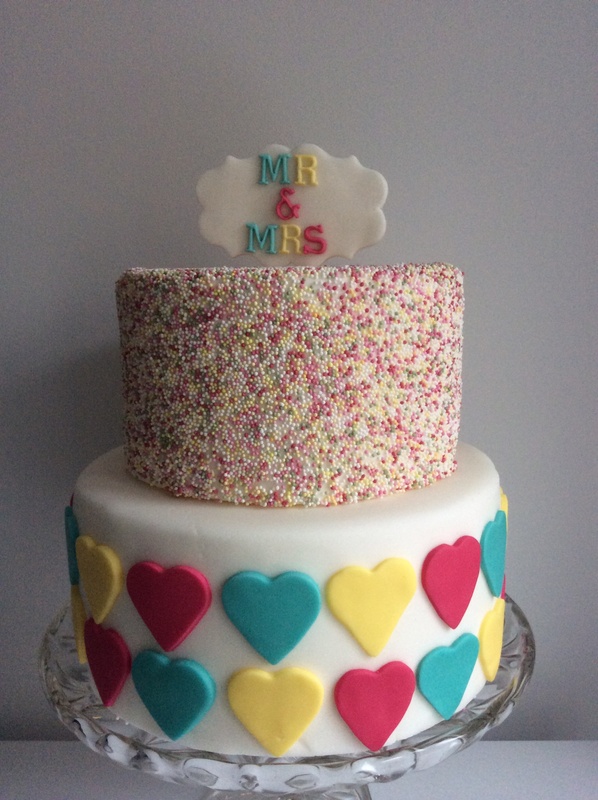 Considering we are have three different cakes which makes three times the work there have been very reasonable on price and we couldn’t have even brought a basic wedding cake for that price let alone a customised set and free cake stand hire. Well, this won’t be much help but thought I would share. Our wedding care was a three tier sponge made by a friend of my aunty in law and paid for by her. It looked beautiful and the photos cutting the cake were lovely. However…… We had decided to cut costs down that the cake was to be used as pudding after the meal and so was whisked away in to the kitchen to be prepared for our guests. Within 5 minutes the co-ordinator came over to tell us the cake was green ans mouldy inside! You can imagine the panic. Someone suggested going to Tesco and picking up lots of their single tier wedding cakes (think they had just started doing them). So we did and the guests never knew the difference with many commenting in how nice the cake was! I’d be happy to help you! Have a look on my facebook page for recent cake pics and my reviews on Yell.com. 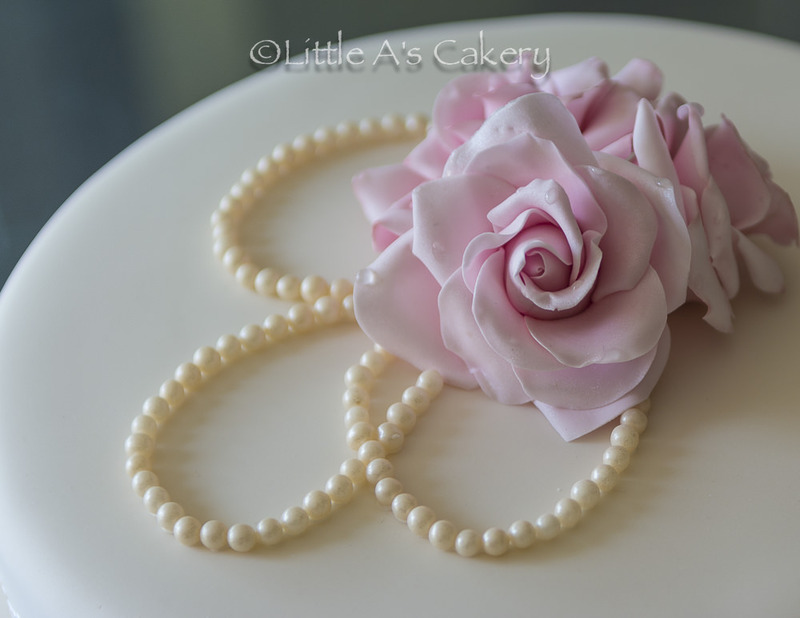 http://www.facebook.com/katyscakery for recent cake pics and my reviews on Yell.com and feel free to get in touch!